I think it has been quite a good week at the office! This painting (140x150cm) is having a rest at the moment and might or might not be done. I spent a long time with it today and couldn’t do anything to it that would add to it rather than just change it. 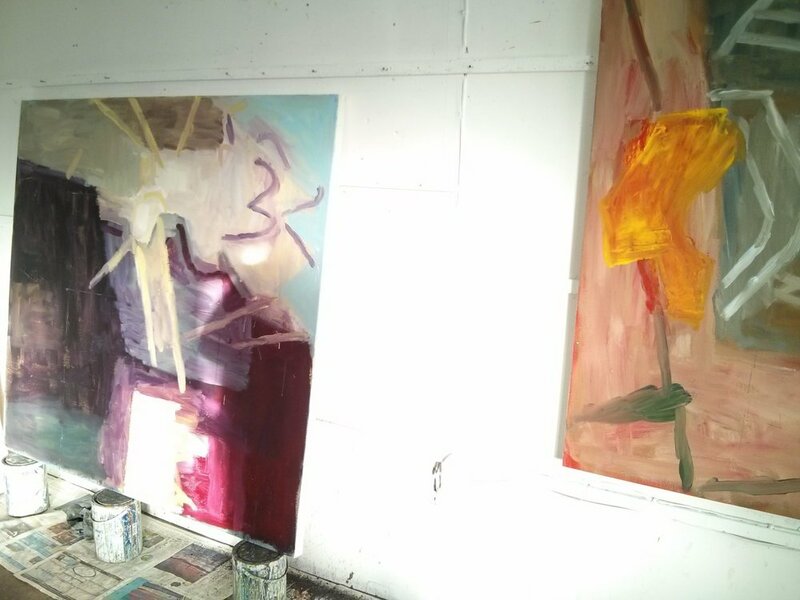 It was a morning of clear wintery sky and the sunlight was doing interesting things with the paintings in the studio. For a few moments it added two glowing figures to the new painting… now there’s an idea!